A traditional light weight indian wedding chain beads mangalsutra. The mangalsutra is made up of two lines of chains with black beads and gold balls at regular intervals and net pattern of gold on black enamel.The mangalsutra is made in 22kt gold and is BIS 916 hallmarked. 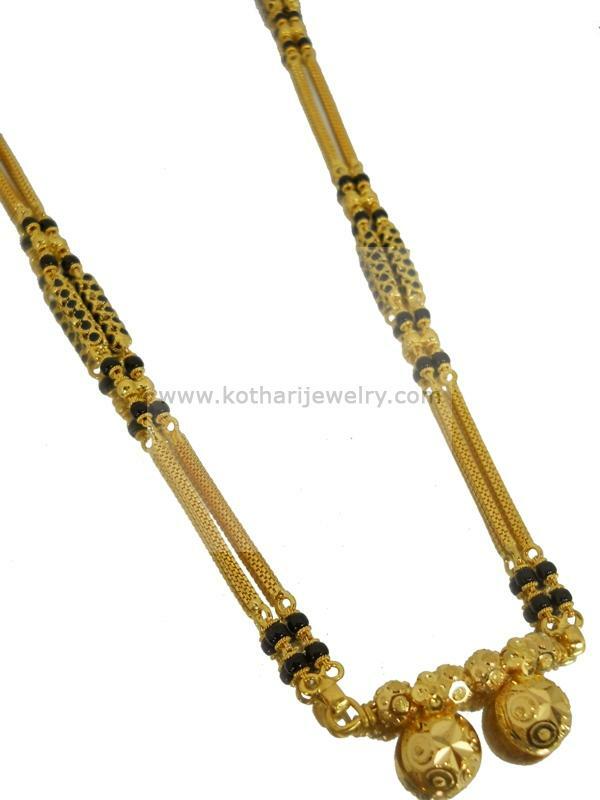 The pendant of the mangalsutra is a traditional "wati mani" or " taali " pendant.